Weight loss can be a battle for everyone. But a large new study says that for obese people, the odds of reaching normal weight are near impossible. The study, published in the American Journal of Public Health, shows the odds of a clinically obese person achieving normal weight without surgical interventions are just 1 in 210 for men and 1 in 124 for women in a given year. Among the most morbidly obese, the chances were even worse. People in the study were somewhat more successful at managing enough weight loss to improve their health, defined as dropping at least 5 percent of body weight. But they often did not maintain the lower weight. "What our findings suggest is that current strategies used to tackle obesity are not helping the majority of obese patients to lose weight and maintain that weight loss," lead researcher Alison Fildes, a research psychologist at University College London, told HealthDay. The study was based on analysis of more than 278,000 people from the UK's Clinical Practice Research database, tracked between 2004 and 2014, and it highlights the difficulty obese people face in trying to achieve sustained weight loss through diet and exercise alone. Researchers crunched the data for patients aged 20 or older who were defined as obese or heavier based on at least 3 measurements of their BMI (body mass index). The study did not include people who had bariatric weight-loss surgery. The average ages of the patients were 55 for men and 49 for women. They found that the higher a person's BMI, the lower the likelihood that they would ever achieve normal body weight, as defined by the standard charts. Among the morbidly obese, only 1 in 1,290 men and 1 in 677 women managed to do it. 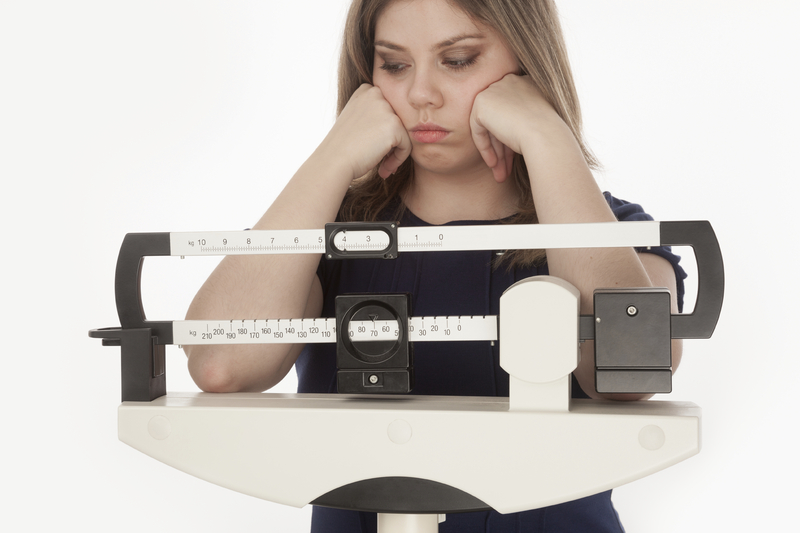 "This might be because people are unable to access weight-loss interventions or because the interventions being offered are ineffective -- or both," Fildes said. This study could not determine whether any weight loss was intentional or due to illness, or what kind of diet and exercise plan, if any, the patients used. Far more people succeeded at losing at least 5 percent of their body weight, which the CDC says can produce measurable health improvements in blood pressure, cholesterol and blood sugars. Forty-nine percent of the men lost at least 5 percent of their weight at some point during the nine-year study, as did 53 percent of the women. However, most obese people in every category showed a tendency to regain modest weight losses. At least half of those who lost 5 percent of their body weight regained it within two years, and more than 78 percent regained it within five years. "The thing that I was discouraged about was that individuals had a hard time even maintaining that 5 percent weight loss. And the reason for this is, that's a recommendation that I often give to individuals because it's achievable," Lisa Cimperman, a clinical dietitian at University Hospitals Case Medical Center, told CBS News. Weight cycling -- fluctuation in gaining and losing weight -- was especially common among the morbidly obese and has been shown to be more taxing on the body than stable obesity. "We know that there are changes that happen in the brain when people become obese," Dr. Kevin Niswender, an associate professor of medicine at Vanderbilt University School of Medicine, told CBS News. "These data would suggest that those changes in the brain that happen in obesity are not reversible." Niswender was not involved in the study. "Research to develop new and more effective approaches to obesity management is urgently required," the authors of the study conclude.